2017’s Happy Death Day was an easy-to-describe premise that worked fairly well: it’s Groundhog Day with a slasher. Protagonist Tree Gelbman (Jessica Rothe) was kind of a terrible person, and at the end of the day, which happened to be her birthday, she would always get murdered by a mysterious figure. The only way to break the loop was to stop her killer so she could make it to the next day. Like Groundhog Day, it was never explained how Tree got into the time loop, but it didn’t really matter. It was a fun whodunnit anchored by Rothe’s winning performance. 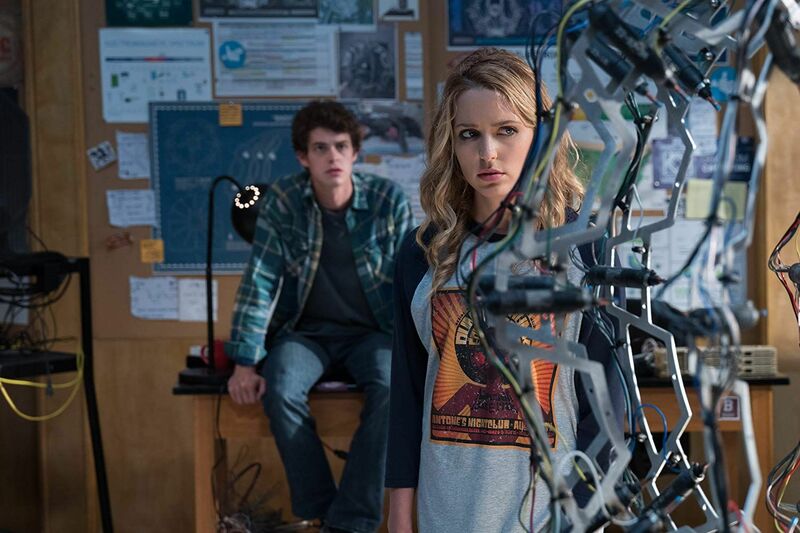 Happy Death Day 2U tries to rekindle the fun by adding in a sci-fi aspect with some heavy sentimentality involving Tree’s mother, but the concoction feels too sloppy and haphazard. There are still some fun moments to be had and Rothe remains a charismatic force, but 2U definitely comes off as a rushed cash-in rather than a fresh idea. The sequel picks up by following Ryan Phan (Phi Vu), the inappropriate roommate who was more of a marker than a character in the first film. Now it appears he’s being stalked by a baby-masked killer and suffering the same dilemma Tree had in the first film. It turns out the loop is being caused by a device Ryan and his friends Samar (Suraj Sharma) and Dre (Sarah Yarkin) built in the college’s science lab. When Ryan tries to activate the device to stop the loop, it ends up sending Tree back to her Death Day, but this time in a parallel dimension. In this dimension, she’s no longer with Carter (Israel Broussard), but her mother is alive. Tree is faced with the dilemma of either closing the loop or returning to her dimension, but either way, she has to die a bunch more times as another baby-masked killer is on the loose. The script is a mess as it tries to blend its Groundhog Day concept with Back to the Future Part II, but very little of it makes any sense. In the first act, it feels like they’ve decided to make the time-bending concept the protagonist and put Tree in the backseat, but the concept is far too confusing. Why is there a new killer and why does he dress exactly the same as the serial killer from the first movie when the new killer had no knowledge of the previous killer? And then why does the movie throw this all out the window once it gets to the parallel dimension? The film picks up a bit once Tree is in the lead, but then it grinds to a halt as it tries to hammer the emotional relationship with her mom. Rather than really playing with the time-traveling or parallel dimension conceit, Happy Death Day 2U feels more like a rough draft that they decided to rush into production before everyone forgot the first movie (even though the sequel contains a recap of the original). With a lot more polish, you could have had a movie that was as fun and inventive as the first, but instead, 2U only works in spurts. There’s another fun montage featuring the many deaths of Tree, and her dilemma—return to her own dimension or stay with her mother even though it’s not really her mother—is moving if overcooked. Additionally, by leaning heavily on the sci-fi aspect of the story, the slasher bit becomes a bit of an afterthought, and that makes Happy Death Day lose even more of its personality. The movie can’t reconcile the simple sci-fi aspect with a slasher running loose, and it tries to split the difference by having Tree suffer a few gory deaths, but it doesn’t have the same immediacy as a killer chasing after her. In the first film, it felt like the stakes were stronger because the killer would always get Tree, so it was not only a race against time in that she got weaker every time she came back, but a race against time against the masked killer. 2U loses that and becomes scattered with what to do instead. With a bit more time and effort, Happy Death Day 2U could have been a Back to the Future Part II to Happy Death Day’s Back to the Future—a sequel that may not be as luminary, but still worthwhile in its own right thanks to its own cleverness and bravado. Unfortunately, 2U feels more like a slapdash affair, trying to find relevancy by throwing a bunch of ideas at the wall and hoping that they’ll stick. There’s still the occasional fun moment and Rothe holds everything together as best she can, but unlike the film’s ill-fated protagonist, this is a series that probably didn’t need another attempt. They’re throw pillows, so do I throw them?